Great post. I had the same reaction to reading the 3e version. Mike mearls recently wrote a post on his L&L blog over at wizards and he described the climb ability--paragraphs long, it read like a list of exceptions in order to head off player funny business. It's almost a parody, I surprised it doesn't stipulate that characters must have mouths in order to drink a potion. > Likewise, it takes a full-round action to apply an oil to an unconscious creature. These attempts are always doomed to fail. Somewhere they will leave out a case and then the DM will have to make a ruling, god forfend. And then maybe realize, "hey, I could have also made a ruling last week instead of spending 5 minutes looking up how to grease a paralyzed dwarf." Between punny labels on the bottles, and a player sipping a potion of levitation and then constantly bumping his or her head on the tops of door frames, I prefer the latter. I don't usually bother to describe the taste. @UWS guy: at least they didn't have a potion drinking skill check. That would have been sad. @Roger: That cracked me up. Now I want to make a scenario where the players have to rub down a lich before the time runs out, hehe. @John: So, players will figure out over time what the sip meant? I'm obviously following this with great interest, due to the fact that I'm working on Alchemy. Does 40-80 minutes really matter that much versus 60-120? Have you considered different types of potions? I'm dividing elixirs, potions and philters up, having elixirs produce physical changes, philters mental and emotional ones, and potions magical ones. Is this a good idea, or should I just leave it with the random hodgepodge of the 1e DMG. My main concern is what might I do that would prevent someone from using it out of the box. What would make it not work in (a) your campaign? also: in my extensive research, were you aware that potions are fruits on Athas (dark sun) that last 99 years? That in Kar-Tur, all potion bottles are triangular, with a wider base, then neck. Also: they are all labeled? 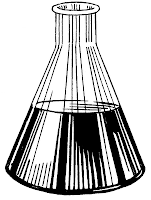 1 ounce of liquid held in a ceramic or glass vial fitted with a tightstopper. The stoppered container is usually no more than 1 inch wide and 2 inches high. 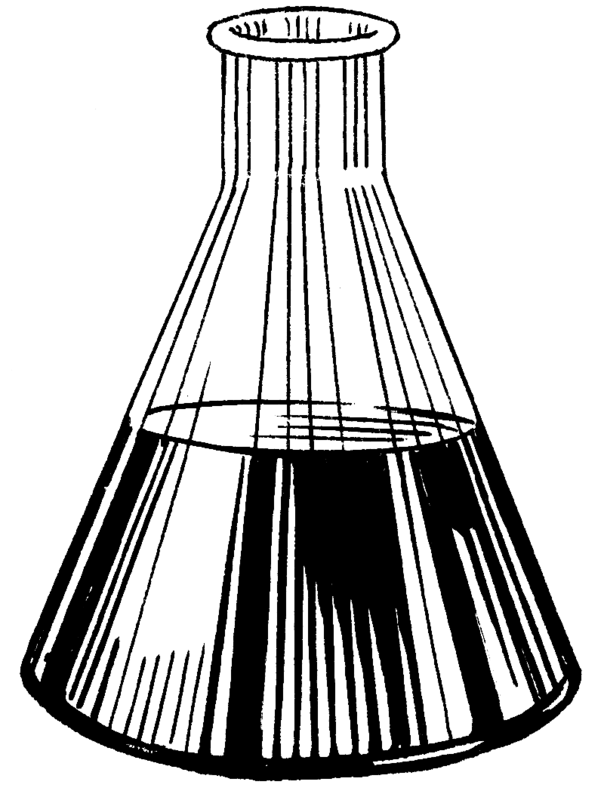 The vial has AC 13, 1 hit point, hardness 1, and a break DC of 12. This maybe makes me sadder than anything else in this series. I'm sorry, your "potion of giant strength" comes in the form of 4 giant boulders, which you will somehow have to crush up and ingest if you want to get the effects. You probably want an Ironbelly potion or two in you before you take it, or you'll suffer internal tearing and maybe too much weight gain to be able to move until the giant strength really kicks in. The idea that you have to taste everything I think forecloses a ton of dramatic options. Would you really try drinking any goddamn flask of lighter fluid you ran across? Is that oil of slipperiness or sunflower? Or used engine? My sense is that the practical upshot of this approach would be to make DMs crazily generous, so as to keep potions an attractive part of the game. If on the other hand potions are obsessively labeled then you have an opportunity to work out codes, or mislabeling (which is basically the same effect as a curse - cf. scrolls). Or cocktail-mixing to activate potions, which is an adventure seed (I have a ton of inactive feather falls here - apparently you need fresh Medusatree sap to activate them). Maybe with multiple microdoses in little vials or pellets, with effect durations ranging from seconds to months to steps to curses. Which could have its own fun aspect: this spider climb will work for 666 steps, or about 900 feet of wall or ceiling. Don't lose count! And I agree you should be able to stack away as far as your nerve allows. Why not? How would that be less fun? You have a potion combo that makes you invincible for one combat? Good. Is this really the combat you're going to use it on? ...my longevity potions would have a duration - when that runs out their effects reverse (so you have to keep taking them on schedule or abruptly age whatever time you'd staved off, Hammer Horror style). Polymorph reminds me of the horse character in the old TV series Monkey: a man or spirit cursed to serve as a horse for n years or steps or until he reached some realization - I can't remember which. Nobody knew he was anything other than an ordinary horse until he suddenly became a party member and they all had to carry their own saddlebags. In short, I don't think polymorph gets the respect it deserves at most tables. Nobody reads Kafka any more. "Climb like a spider" - imagine the expression on the players' faces when you tell them they're growing spinarettes and can feel their abdomens distending with sacs of web-fluid. What if the spinarettes don't go away at the end of the potion duration? Oh god, comment-spasm. 217 doses are lethal. Reminds me of a "used to be a superhero but is now entirely ordinary" character I played once. @Telecanter: Not exactly. I always assumed that the point of sipping a potion to identify it was that you experienced some small part of its magical effect, and you worked out what the potion was from that. A potion of firebreath gives you flaming hiccups, a potion of polymorph keeps doing odd things to your nose, and so on. The way the potion tastes isn't really part of the clue. Is that not how other people do it? -C Thanks for the comment. I actually checked your site before posting because I was afraid you had posted a pdf on potions before. "Does 40-80 minutes really matter that much versus 60-120?" For me, the one hour to two hour range is easier conceptually, but I don't feel strongly about it. I'm assuming they reduced the times because some potions, like invulnerability, were made much more powerful in 1e. But I figure that potion imbiber is just one of a party and there will still be obstacles to overcome. "Have you considered different types of potions? I'm dividing elixirs, potions and philters up, having elixirs produce physical changes, philters mental and emotional ones, and potions magical ones. Is this a good idea"
I'm working on a One-Page Drugs right now, so some effects can be shunted over there. I'm not sure what a player gains from knowing something is a philtre versus a potion. I can see that coming from your angle, alchemically making them, that might give you some cool variety. Maybe philtres are pure enough to have no side effects, maybe elixirs require all fresh ingredients. But even those examples could be bolted onto the basic potions. What would make it not work in (a) your campaign? The best example of what I desire is Vault of Nagoh's drug rules in his Small But Vicious Dog rules. It contains just enough detail to catch the feeling of the real world situations I want to happen around drugs (addiction, overdoses, being unable to resist, withdrawal) with about 120 words and a chart. With an elegant skeleton like that I can start adding all kinds of embellishments in my own campaign. That being said, I think each of us has different levels of detail we are comfortable with. I tend to fall towards the sparse side of the continuum. "also: in my extensive research,"
Dude, you rock. I didn't know either of those things. Keep up the good work. I'm going to go look in Oriental Adventures right now. Welcome back Richard! haha, with your fabulous waterfall of comments. I think this is the problem that Roger has posted about recently, and I commented in my last post to Zak about: Magic that is predictable and follows rules is mundane and un-magical, but magic that is chaotic and fantastic isn't very useful as a tool. As DM/designers we have to some how balance between the two. The potions in my campaign got so random, I doubt my players would have messed with them much longer. Probably would have ended up just selling them. Also, those classic potions offer some pretty cool dungeon exploring situations, and I'd like my potion garden to be tame enough that my players get a chance to be gaseous, for example, or that we all get a chance to see someone deluded (that should be funny). @John: I guess I wasn't really sure as a DM, one of the many, many things the rules don't help you with, but in play I did what you suggest. I guess I thought they should have different flavors too, but you're right they are pretty irrelevant. Now colors and qualities are still important, because I imagine tasting potions will be fun and dramatic the first few times, but get tiresome after a while. And if you could say: "Ahh a lumpy white potion. Most likely Healing"
Yes, I haven't posted a .pdf on potions. . . yet. *sigh* the alchemy document is up to 64 pages already. I will have lots of potions. lots. I divvied them up because, what is the difference? Why have different kinds? Should I rename them all potions? is it the way they are made? etc. I was concerned about people looking for classics and finding they've been renamed, but solved that with entries that point to where the potion is actually located. Otherwise, it just seems like the distinction between potions, philters and elixirs is random.